Wanna know something totally bonkers? I never celebrated Halloween as a kid. Nope. I never picked out a Halloween costume. I never went trick-or-treating. 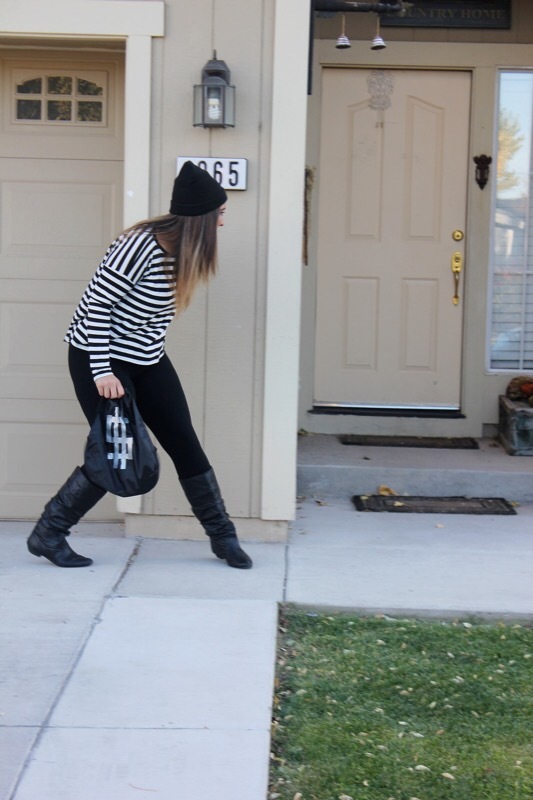 Never ran from door to door singing a rhyming song & asking strangers for free candy. Wanna know why? Because children aren’t supposed to talk to strangers, let alone take candy from them. Don’t they teach you that like the second you can understand anything as a child? Haha at least that was my mom’s way of thinking. She never understood why parents warned kids to not talk to strangers OR take candy from them, but on one night of the year they were totally allowed too? Yeah as an adult now, that totally doesn’t make sense to me either. So we didn’t do it as kids in my house. End of story. But don’t worry! We weren’t deprived. We always ended up having a fall talent show at church that night as an alternative. And my mom was always awesome enough to take my brother’s & I to the store to pick out bags & bags of our favorite candy. I’m not kidding. We probably scored bigger than any kid out walking the freezing streets on those dark Nevada Day nights. So again, do not call CPS, my brother’s & I turned out fine despite not dressing like Ninja turtles, Power Rangers, & Princesses for one night every October. And since I have little no experience in the costume department, though I have dressed up 4 times for Halloween since I was 13, I had no idea what to dress up as when my church’s youth ministry said we were having a costume party & contest. As much as I love fashion & dressing up daily in regular clothes, I honestly really don’t like dressing out of my norm, let alone in s cheesy costume! But if you follow me over on Instagram then you saw that last week I gave everybody a clue as to what I was planning on being. Did you guess right? You’re a smart detective if you did. I’m a robber! 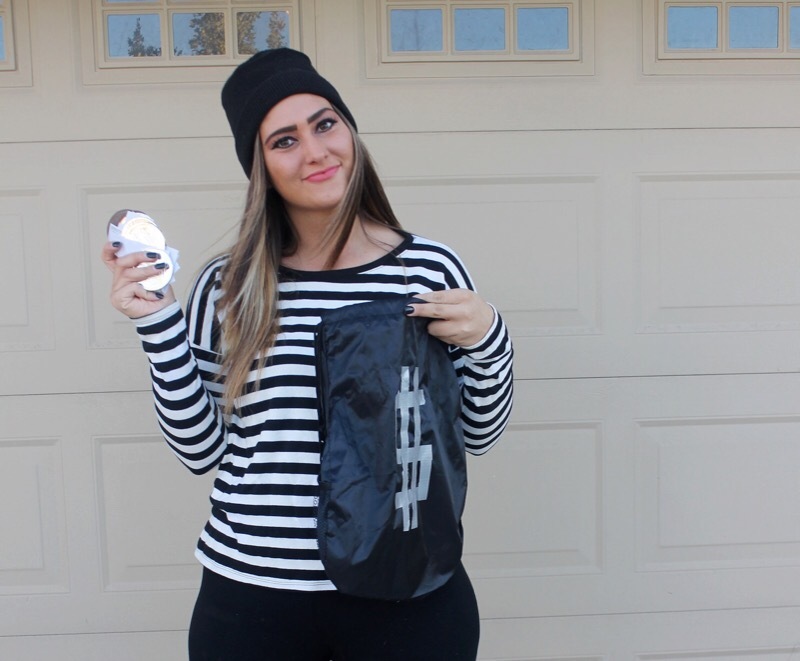 I really didn’t know what to be, but then I remembered seeing a “robber” costume lay out on Pinterest & thought hey that’s simple & I could totally do it since I basically own it all already. 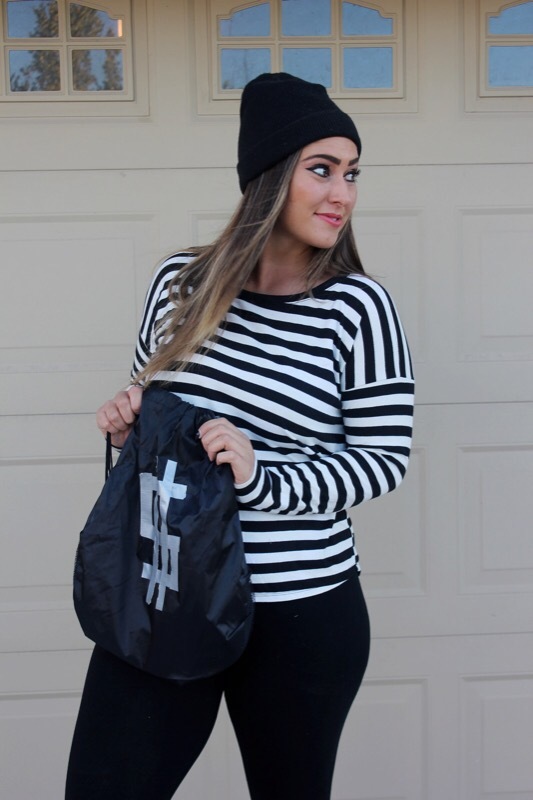 So I grabbed the striped shirt, leggings, boots, & beanie, opted out of the mask, & went & bought a black drawstring bag & fake money at a dollar store & called it good. The costume only cost me $4 & that was just for the props! Cheap, simple, & cute. You literally can throw this look together in less than a day. 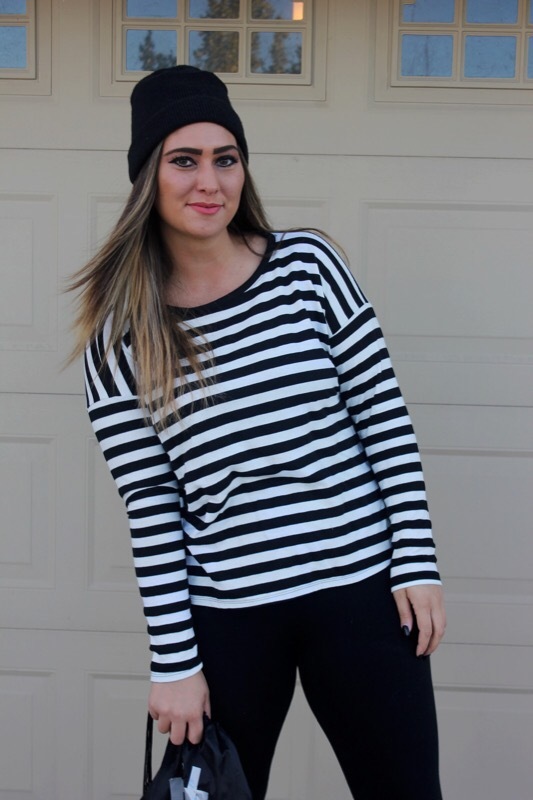 A definitely fashionable costume that will steal the show! So needless to say, as an adult I have had the chance to choose whether or not to celebrate Halloween in ways that my parents did not. Gotta say, I still don’t see the big hype in all of it. But it was kind of fun taking these pictures with my dad. Over the last few years thanks to Pinterest, multiple blogs, & Instagram, I have found a love for cute DIY family costumes. Will I let my kids trick-or-treat? I have no idea. That’s something I’ll have to decide later on with my husband. But you can almost bet that one day you’ll see me & my gang dressed alike for some reason or another for a fun fall family memory. Possibly even as a whole bandit? Well, maybe someday.